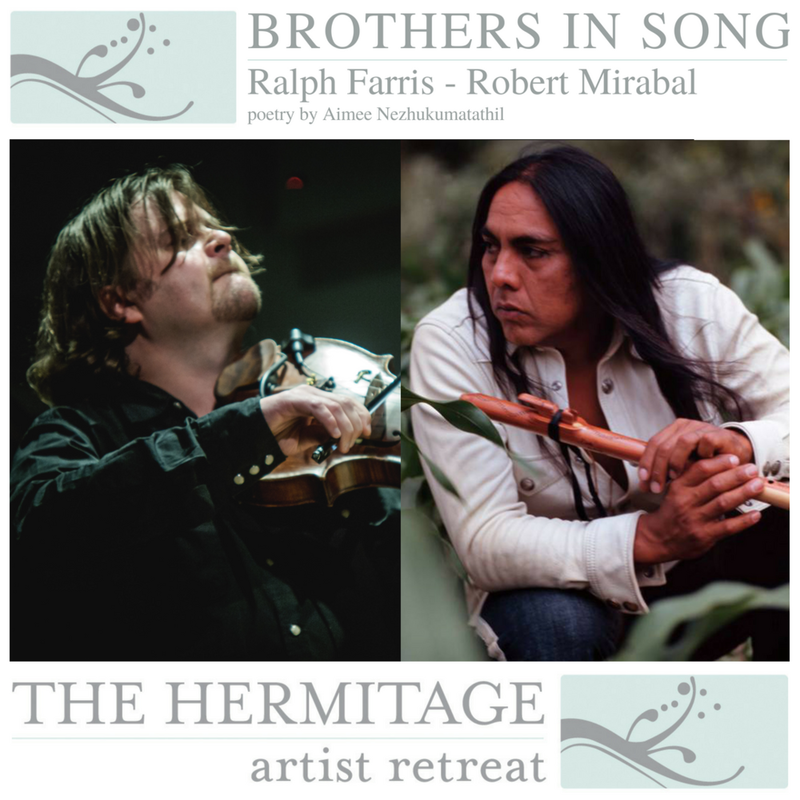 The pair will share music from a new piece, a Native American-themed theatrical work, that will soon move to workshop. During their performance, the two will share tales and tunes from their years of working together. The evening will begin with a collaboration with fellow Hermitage artist, poet Aimee Nezhukumatathil, and will close with a sunset meditation. This free event will take place on the beach at the Hermitage, 6660 Manasota Key Road in Englewood, FL. Guests should bring beach chairs and are welcome to bring snacks and refreshments. Reservations are strongly suggested in case the event is moved indoors where space is limited. Reservations are through email only to reservations@hermitageartistretreat.org.